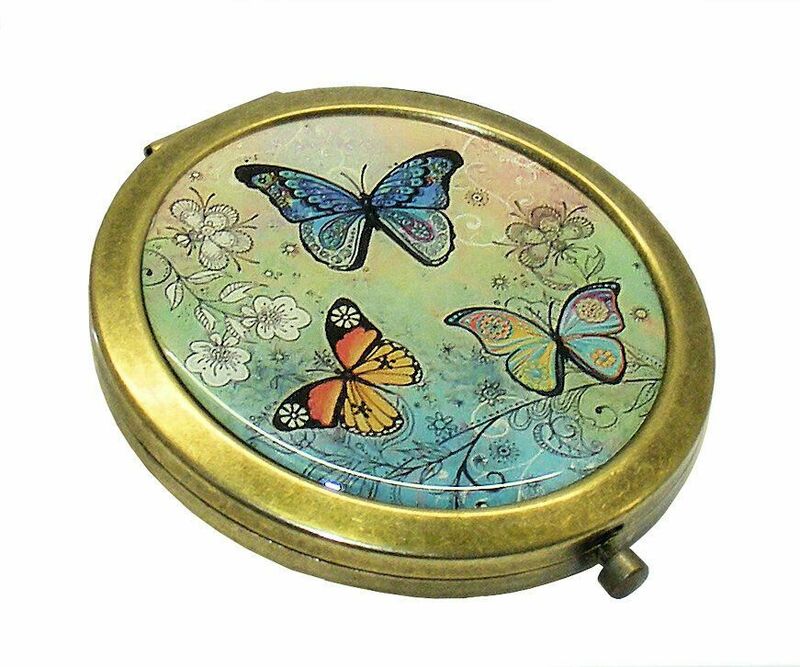 Gorgeous Butterfly design ladies handbag mirror with polished gold tone finish. 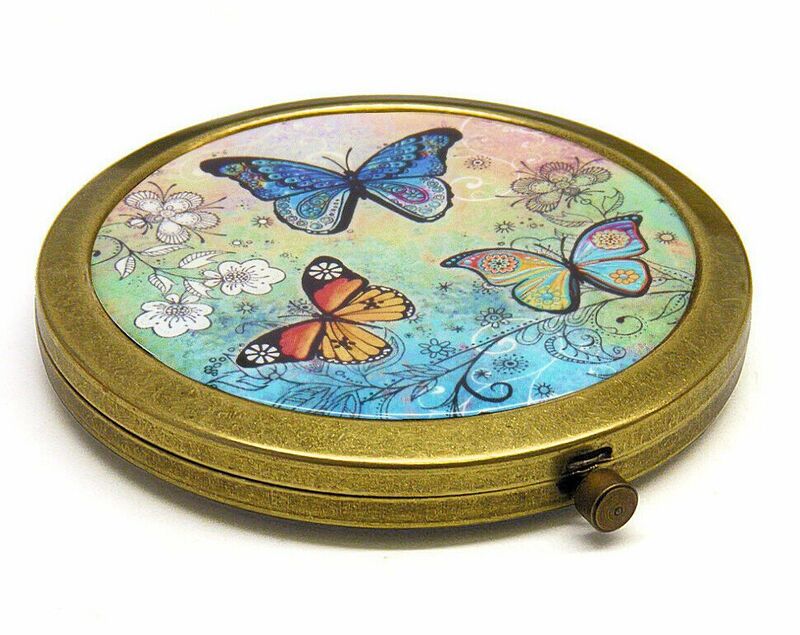 Gorgeous Butterfly design ladies handbag mirror with antique gold tone finish. This compact features a striking multiple Butterflies design on the front whilst the back is a plain gold tone and can be personalised with your own text if required.